Our 1-Bedroom Self-Contained Unit offers guests a slightly older style self-contained motel unit. It can sleep up to 3 people with a king bed in the bedroom and a sofa bed in the living area. The living area features full kitchen facilities, as well as a spacious and comfortable lounge and dining area with a 32" flat screen TV, and en-suite facilities. 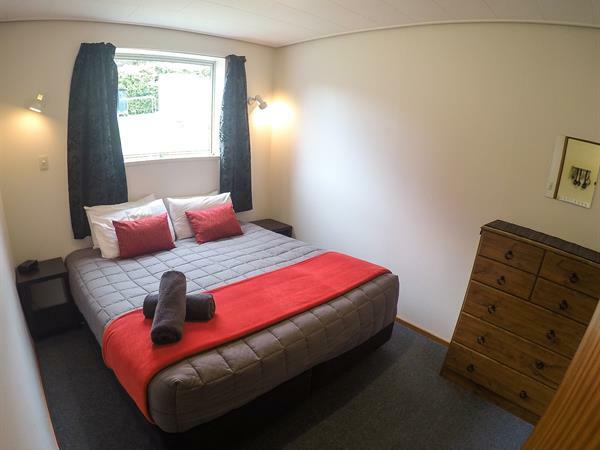 These units have a heat pump to keep you warm in the winter months, which doubles as an air conditioning unit to keep you cool when the hot Otago summer hits.